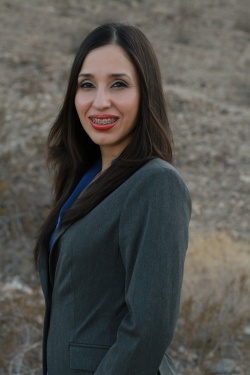 Immigration attorney Agxibel Barajas is committed to helping clients achieve the American dream. She can help you obtain a green card, navigate the DREAM Act through DACA, or file a provisional unlawful presence waiver if you entered the country illegally. To help make immigration affordable the attorney charges flat fees as low as $995 and accepts credit card payments. To receive a free phone consultation with Sacramento immigration lawyer Agxibel Barajas call (916) 218-4123. Agxibel Barajas is the daughter of Mexican immigrant farm workers. Despite her disadvantages she graduated from the University of Southern California with a degree in Business Administration, interned in a New York financial firm, and received her law degree from the University of Arizona College of Law. As a California immigration attorney Agxibel Barajas helps immigrants receive green cards or United States citizenship. The DREAM Act as embodied in DACA can help you or your child receive 2 years of protection from removal proceedings. The DREAM Act, which never became law but was partly implemented by the Obama Administration under a program known as Deferred Action for Childhood Arrivals (DACA), provides certain undocumented youth with renewable 2-year legal status. Successful applicants receive 2 years of protection from removal proceedings or the initiation of removal proceedings. Moreover, successful applicants can receive 2 years of employment authorization. If you are a United States citizen and your spouse entered the country illegally you can file an I-601A provisional unlawful presence waiver to shorten several months of separation for consular processing into a few days. If your spouse entered the United States without inspection they will need to go through consular processing to get a green card. Part of that process involves leaving the United States to interview at a consulate abroad. However, once your spouse leaves the United States a 3 or 10 year bar to re-entry will come into effect depending on how long they resided in the U.S. without lawful presence. Without an approved I-601A waiver your spouse will interview at a consulate abroad where they will be denied a visa and reentry to the U.S. While outside the United States they will apply for a waiver to the 3 to 10 year bar and remain separated from their U.S. family for several months. To avoid these several months of separation and uncertainty many choose to file an I-601A waiver while in the United States. With an approved I-601A waiver your spouse can depart the U.S. for their visa interview with more certainty that they can lawfully re-enter the U.S. in a few days instead of months. The K-1 visa allows your fiance overseas to enter the United States for 90 days so that your marriage ceremony can take place. If your fiance has unmarried children under the age of 21 a K-2 visa will allow their children to also come to the United States for the ceremony. The fiance visa will automatically expire after 90 days so it’s important that your marriage take place within that time.